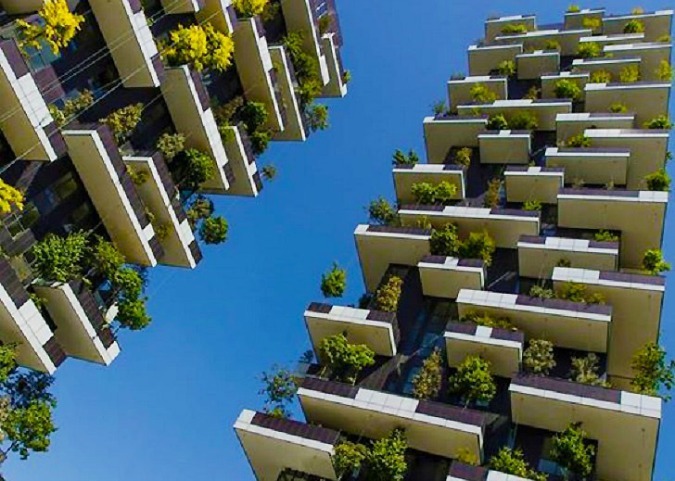 Stefano Boeri Architects’ Bosco Verticale towers are now complete. 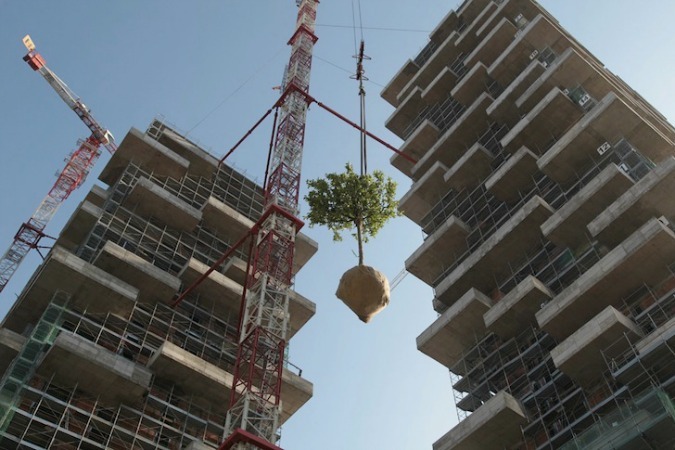 The “world’s first vertical forest” comprises a pair of luxury high-rises that add nearly 2.5 acres of lush vegetation to the skyline of Milan, a city notorious for its air pollution. 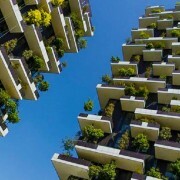 However, Bosco Verticale will be more than just a beautiful sight to behold–like a pair of green lungs, its forested facade of 21,000 plants will absorb CO2 and particulates, dampen noise pollution, lessen the urban heat island effect, and create oxygen and favorable microclimates. The superstructure was also recently shortlisted for the prestigious International Highrise Building Award 2014 as one of the five most beautiful and innovative high-rises in the world that were recently completed. (source).